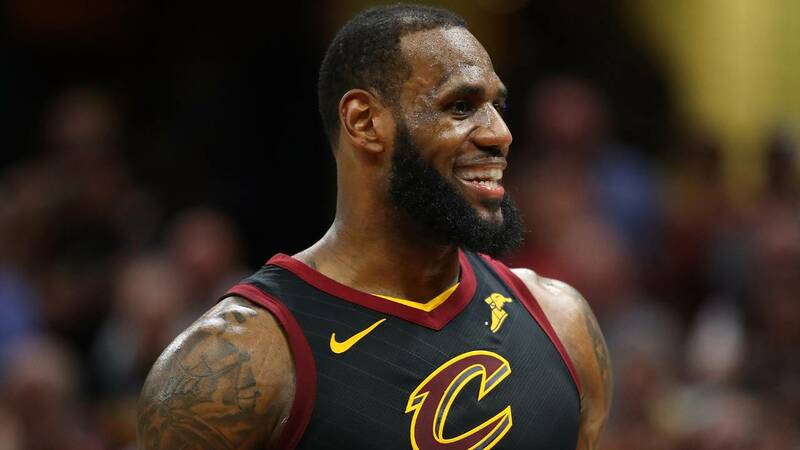 (CNN) - LeBron James thinks President Trump is using athletics, and athletes, to split up the country. And he's rejecting the premise like an opponent's ill-advised layup. Referencing Colin Kaepernick, whose kneeling protests during the pre-game national anthem launched an NFL movement, and more recently, Stephen Curry, who honored his promise of skipping a visit to Donald Trump's White House, James bemoaned a myriad of instances in which Trump has twisted peaceful displays of dissent into an indictment of a decaying American value system. Flashing the trademark smile that has routinely graced magazine covers and commercial shoots since he was a junior in high school, James laughed at learning how much earlier his youthful "white friends" ate dinner and went to bed, and noted his surprise at seeing food stored in a pantry. Now a 33-year-old man, with two sons and a daughter, James has more pantries, and more refrigerators, than he'd ever dreamed of as the child of a single teen mom living the "everyday struggle" in Akron, Ohio. But it's from this existence that his "I Promise School" has been born. "We want every kid that walks through this school to be inspired, to come ... away with something, something where they can give back," said James, who poured millions from his own pocket into the project. "For kids, in general, all they want to know is that someone cares. And when they walk through that door, I hope they know that someone cares." Asked by Lemon about the prospect of entering politics after his playing days, James at first dodged the subject like so many defenders throughout his career. But when asked what he would say if someone told him, "If you don't run, Trump's going to win," he had a change of tune. "Well, in that case, I may (run)," James said. "I believe there's someone else out there. I hope." Queried on what he'd say to Trump if they were face to face, he was quick to say, "I would never sit across from him." James' main focus is helping the next generation conquer their obstacles -- with inspiration from the past. "If we look at some of the greatest leaders of our time, you look at, you know, Muhammad Ali, you look at Dr. Martin Luther King, and all the adversity they went through," he told Lemon. "They always use it to say 'OK, this is even more motivation, this is even more a way for me to even be more powerful.' And they're the reason why we are here today."